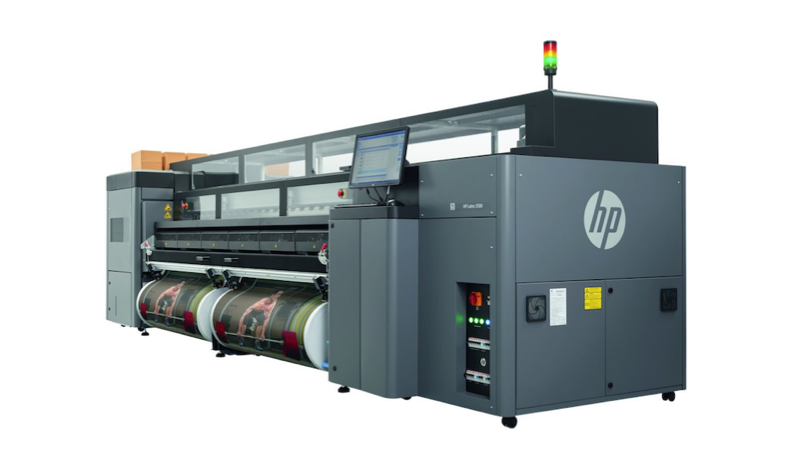 Shortly after being the first print service provider in North America to purchase the Jeti Mira LED, the company has also purchased the newly updated HP Latex 3500 printer. The acquisition of the HP Latex 3500 is to support Excelsus’ launch of their newest venture, Décor Brilliance, which offers high quality interior design prints on multiple medias and surface areas for the home or office. The new 3500 has the same printheads and print speed as the 300, but the important change for Excelsus is that "it has the ability to produce a finished product at the highest quality offered in the industry". "The versatile HP Latex Technology and HP Latex Optimizer delivers high definition images at an impressive speed without any degradation of quality. Unlike UV, the environmentally friendly, water-based latex ink conforms to the media surface, preserving the gloss and texture," they stated in a release. Excelsus can now offer double-sided printing with the HP Latex 3500, which is a new capability for roll-to-roll latex printers. This capability, along with increased production capacity of unattended printing, will achieve faster turnaround times for customers. Introduced in 2008, HP’s Latex ink technology is a water-based resin alternative to solvent-based inks, suited to indoor and outdoor print applications on vinyl and similar media. The third-generation ink used in the 3500 has higher scratch resistance and uses a primer called Latex Optimiser which enables curing at lower temperatures. Excelsus Solutions VP of Operations, David Laniak, says: “With the LX3500’s lights-out capabilities, we are essentially tripling our print capacity while keeping labor costs low.” This equates to reduced waste, which allows for a cost savings that Excelsus can pass on to customers!" The six-colour, 1,200 dpi HP Latex 3500 can produce 180sqm/hr in two-pass billboard mode down to 27sqm/hr in 18-pass backlit mode and can handle rolls up to 300kg.It uses 10 litre-ink cartridges. Excelsus Solutions, established in 2005 as a high-quality digital print solutions provider and manufacturer, continues to grow with the new addition of Décor Brilliance. This new branch of Excelsus offers high quality prints for any surface to enhance the interior design of companies, organizations or personal living spaces.